Client: Here are the edits to the document. It’s a PDF. Do you need the source file to make these changes? Client: Can’t you just do it without the source file? That would be easier for me. I was working with a client and suggested that they promote an upcoming event with an email flyer. To show them what I meant, I sent them an example of one I had designed for a previous client. Client: This is one you’ve done in the past? Me: Yes. It worked out really well – they got a lot of response from the email. Client: Right, but we can’t send this to our customers. It’s for a different event. Me: Well obviously we’ll update it with your information. Me: Yes. I mean, of course. Client: This one has pictures of shrimp being served. My event doesn’t have anything to do with shrimp. We can’t tell people there will be shrimp. Me: Well no, I’ll redesign it. This is just an example. We can customize it. Client: I don’t know. I think people will be confused. Client: This looks way better today. I hadn’t changed the design whatsoever. This one is a front runner. We absolutely love it, so we’re going to want to see the most edits on this. Prescott Perez-Fox, host of the Busy Creator podcast, joins our editor-in-chief Bryce Bladon to discuss the habits and processes that make up our day-to-day work lives. Bryce’s talk on the Busy Creator podcast, where he talks about evolving a blog into a brand and a business. Prescott’s file management process that we discuss in the episode can be seen here and here. I was working on a promotional shoot where some poorly-paid students gave away free umbrellas branded by a client. They did a great job, and our photos proved it; there were a lot of happy faces, people twirling their new free, umbrellas, and everything went perfectly. Until the client saw the photos. Client: There is no rain. Me: Yeah, I can see how rain would have been ideal, but the promotion had a very specific schedule made months in advance. It’s bad luck but I think the photos turned out great. Client: These won’t work. We need rain. Me: Are you saying you want to schedule another shoot? Client: Photoshop. Just add rain. Me: You mean, like, add rain drops? To the photos we took in the sun? That would mean changing the whole image. Everything in it, the ground, the sky, every individual object in the photo, would have to be painstakingly manipulated. I can do it, but it’s going to take at least another two days, and I’ll have to charge you for that. Client: Unacceptable. I only hired you because you said you knew Photoshop. Client: I want a shirt for my company. Me: Okay, what do you want on the shirt? Client: Oh, I don’t know. It’s a promotional shirt to sell to customers. Me: Okay, well do you have an idea on what color shirts you’d like to work with? Me: Any ideas at all? Client: You’re the artist. Surprise me. Oh, do you think I can get these by Monday? Of course I still tried my best to send some design ideas her way based on her company, but so far she’s just replied that she doesn’t “feel” any of the ideas. I have no idea what to try next. But then again, I guess if I was a real artist I’d read her mind, right? 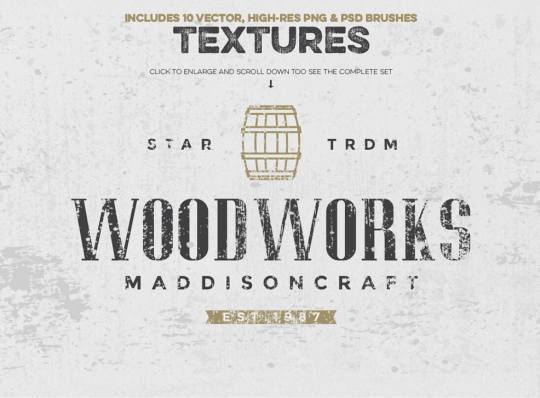 This week’s Mighty Deal is a Professional Logo Creation Kit Bundle for a mere $19. 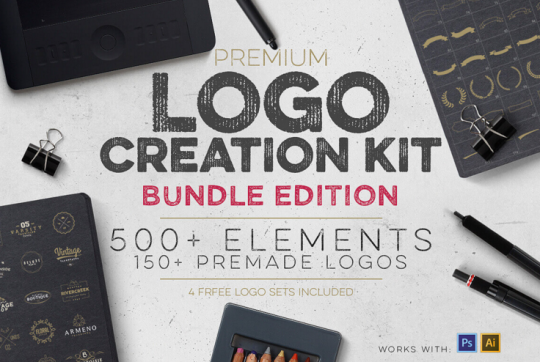 This bundle is actually 3 Logo Creation Kits in 1! 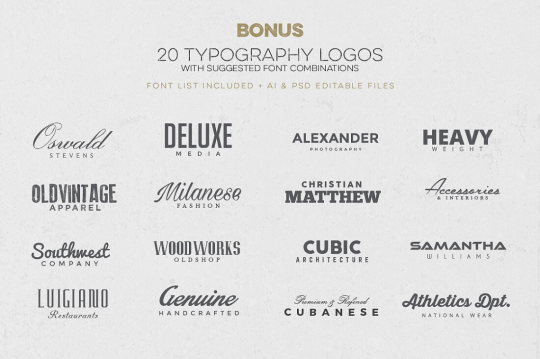 You’ll get yourself more than 500 professional design elements to create your new logo. Each element is fully customizable thanks to the original PSD, AI and EPS files that let you change up the color, shape, size and more. Normally, this collection of Logo Creation Kits sells for $29, but for a limited time only, you can get all 3 amazing sets for only $14! I just had a client urgently contact me because she no longer had an internet connection. Client: You said I could let our site lapse and now we have no internet. Get us connected as soon as possible! Me: I said you could let your web hosting plan lapse because you no longer use it. You do realize I’m not your internet service provider, right? I just host your website. I have nothing to do with your connection. I am a motion designer. A client wanted a promotional video for his business’ YouTube channel. Me: What would you like in your promo? Specifically, I need your business’ name, the color scheme you’d prefer, any text and/or images that should be included, etc. Are there any qualities you want to highlight about what your company does? Client: Ok, well, my company is called [Business name] and I want it blue. Me: Could you elaborate more on the colors? If you could specify what shade of blue you’d like, and what other colors it should be paired with, that would be great. And have you given any more thought to what I’ve already asked you? Client: I want no other colors, just dark blue. And make the text look cool. Me: I can do that, but I still need to know what the text actually says. Client: Oh that’s okay, you can come up with that. Just make it look cool. Me: Copywriting isn’t really my job. Does your company have a slogan? A tagline? Anything? I still have not heard from him. It’s been over a month.